Mercedes-Benz is pulling Gran Turismo gurus out of the living room and onto the race track. Owners of the $300 Gran Turismo 5 Signature Edition were able to register and play in a special B-spec mode where they acted as team directors for different series of 5-lap circuit races. What made the Signature Edition a true standout, however, is that those gamers were actually playing for a chance to transfer their driving skills into a high-stakes racing battle to win one of the crown-jewels of the Mercedes-Benz collection. Gran Turismo 5 has compiled the top 15 regional competitors from across 22 countries who have proven their mettle, to put the pedal down on a Mercedes-Benz SLS AMG in a real-life race. The SLS, worth $200,000, will be awarded to the driver who gains the most points during a series of driving challenges at the event. The competition will take place July 11-12 at the Red Bull Ring in Austria, but while waiting for the results, you can check out the Mercedes-Benz GT5 Challenge Facebook app that allows you to check out the competitor bios and 'Like' your favorites. If this Jeep looks like it would be more at home on the set of "Jurassic Park" than in your garage, well, we wouldn't exactly blame you. This Jeep is an off-road vehicle concept designed by Max Ostap for the Art Center College of Design. This Survivor Concept most closely recalls the Jeep Bantam from World War II, but if we're being honest with ourselves, this Jeep concept is in a league all its own - a crucial marker for originality in the sometimes over-saturated world of automotive concepts. The concept has a level of masculine ruggedness blended with a futuristic style that lends a certain classic beauty to this off-road vehicle. The Survivor's notable features include an integrated roof mounted spare, front bull bar and a pickup-like rear tray. What do you think of the Jeep Survivor Concept? Is it too beautiful to be rugged? Too futuristic to be beautiful? Would you use this as an off-road vehicle? By 2020, Volvo wants you to live in a world where no car accidents happen. Volvo has made progess toward achieving this lofty goal with the Volvo Pedestrian Detection and Full Auto Brake Systems that use radar technology. Now Volvo is taking the next natural step with the development of their animal detection system that utilizes similar radar-based science. The animal detection technology uses radar to recognize animals and slows down the vehicle. This is made possible through the use of a special camera and infra-red monitoring system that are different from the previous technology used in the Volvo Pedestrian Detection System. The project focuses on larger woodland animals such as deer, moose and reindeer. For Volvo the main challenge is programming the technology to recognize different animals and the way they act in their natural habitat. To alleviate this obstacle, the developers have been recording videos of the different animals in a safari park, hoping to capture their various behavioral patterns. 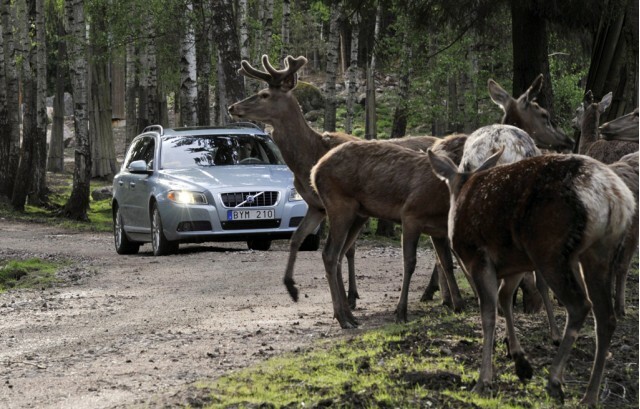 It will be a few more years before the animal detection system will be available in Volvo models, but like every other big vehicle-safety breakthrough, it'll be worth the wait. 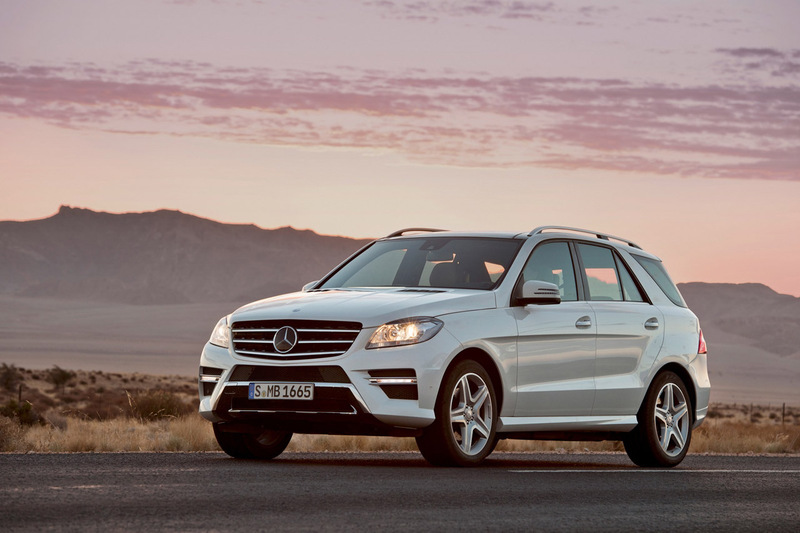 Mercedes-Benz is set to launch their M-Class in the United States this fall. The M-Class's fuel-efficiency is the biggest buzz surrounding the launch. The models will have an average of 25% less fuel-consumption across the range. Chrysler has just moved into the fast lane with the announcement of the rejuvenation of their Street and Racing Technology (SRT) brand. 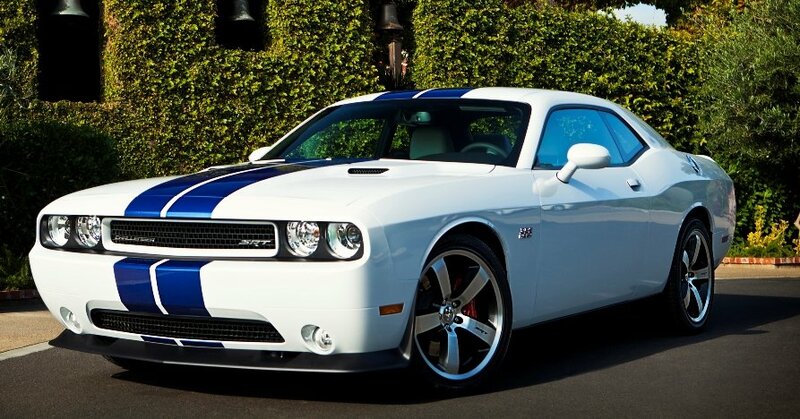 Until now, the SRT portion of the Chrysler brand has been essentially an internal engineering program. It was originally launched in 2002 at the North American International Auto Show (NAIAS) as a new line for producing "industry-leading performance vehicles and parts." Now Chrysler is ready to re-imagine its SRT division as its own separate brand and they have handed the reins over to Ralph Gilles. The title of president and CEO of Chrysler's SRT brand will be added to his other labels: president and CEO of Dodge and senior vice president of product design for Chrysler. The SRT brand will focus on low-volume, high-performance vehicles. Currently the only SRT available is the Dodge Challenger SRT8, but Chrysler fans will not have too long to wait for new models. Beginning this fall, 2012 SRT models of the Jeep Grand Cherokee SRT8, Chrysler 300 SRT8 and the Dodge Charger SRT8 will all be released. What do you think of Chrysler's new focus on a SRT brand? Which new SRT model are you looking forward to the most? 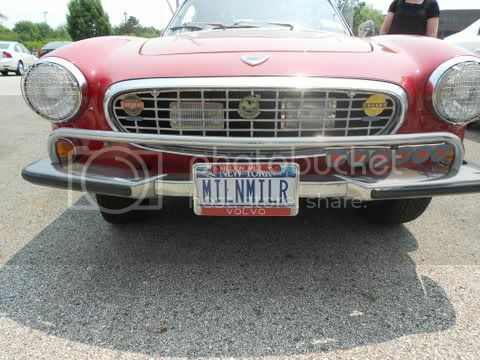 On Tuesday, the World's Highest Mileage Car visited Betten Imports! 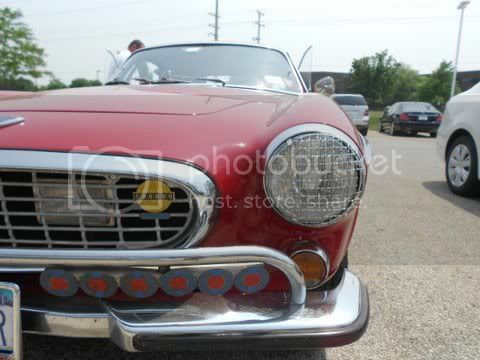 Irv Gordon, the owner of the famous Volvo P1800 let us capture the moment. 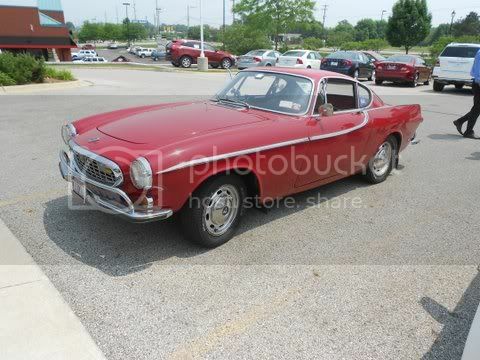 Back in 1966, the Volvo P1800 cost just $4,150. Irv says it was the best $4,150 he has ever spent and somehow we believe him since he's racked up over 2.9 million miles in his trusty Volvo. Since retiring in 1996, Irv has driven more than 100,000 miles per year! 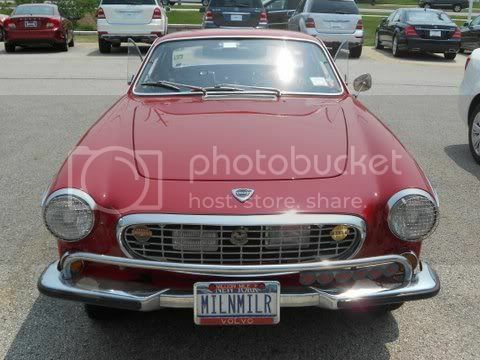 Throughout its travels, this Volvo has been filled up with 8,600 tanks of gas; the 1966 Volvo P1800 gets 25 miles per gallon. 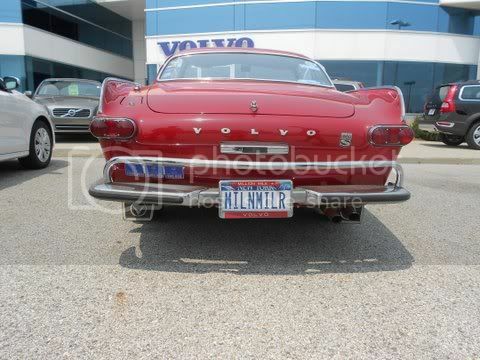 2.9 million miles also means this Volvo has received over 734 oil changes. Irv recommends changing your oil every 3,500 miles. The Volvo has received 104 tune-ups, which amounts to one every 25,000 miles. 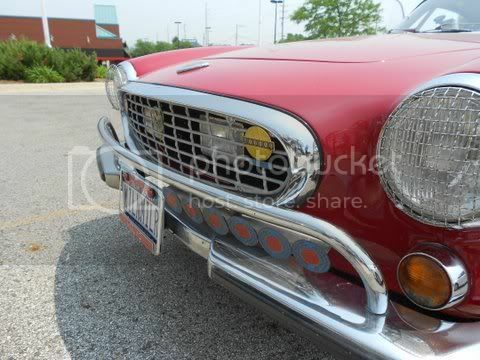 Read the captions below for more interesting facts on this Volvo's history. 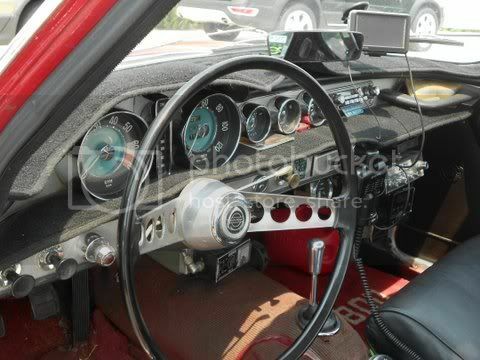 To view more photographs you can visit the Betten Imports Facebook or Flickr. Leave it up to Mercedes-Benz to re-visit a vehicle that was originally intended for agriculture and design a completely avant-garde, and dare we say it, beautiful vehicle that maintains its trademark level of all-purpose functionality. Mercedes-Benz says the concept, simply dubbed "60 Years of Unimog," will set the future tone of the automaker's design and development of commercial vehicles. The concept was the combined brainchild of the Mercedes-Benz Special Trucks Unit (MBS) and an outside design team. The concept takes elements from the modern Unimog U 5000 chassis while maintaining style solidarity with the original Unimog. The design evokes a certain amphibious quality, because the designers drew inspiration from none other than the poison dart frog. Like the frog, Unimogs can easily travel through land and water. Furthermore, the re-imagined Unimog shares the bright green of both a frog and its predecessor, the original 1951 Unimog. The design elements of note are the open cabin, stage-show headlights, billet aluminum frame, red coil springs and its flashy five-star rimmed wheels. Mercedes-Benz insists that the concept is consistent with the multi-purpose characteristics of the original models despite its somewhat unconventional design traits. What do you think of the latest Unimog concept? As part of the ongoing celebration of Jeep's 70th anniversary, the beloved Chrysler brand is bringing Jeep to the masses with a mall test drive event. If this sounds familiar, it's because Chrysler previously ran this promotion with their main Chrysler models. This time around, the entire 2011 Jeep lineup will be available for test-drives, something that will be appreciated by loyal Jeep fans and curious crowds alike. For Jeep loyalists, this promotion will serve as a true celebration of the brand and give them a rare chance to drive some of Jeep's iconic models. For everyone else, the test drive event represents an opportunity to get a taste for what driving a Jeep is all about: After all, "It's a Jeep Thing." Product specialists will be on hand to answer questions, albeit in a no-pressure environment. The Jeep test drive event will begin this month and continue through October. All test drive participants will be given a $15 mall gift card, not to mention possibly a new appreciation for what the Jeep brand has to offer. Say goodbye to the road and hello to the sand dunes with this land-hungry conversion that was designed in part by Baja off-road racer Kent Kroeker. The kit is all street-legal and each element can be bought separately, making it an extremely convenient conversion project. 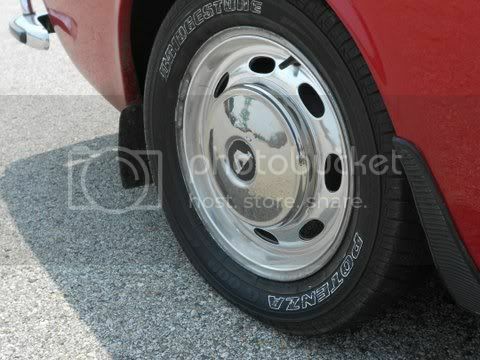 For further kit details, visit Mopar.com. See the Ram Runner in action.